Humans have been evolving right from the pre- historic times. Not only the humans but also the way they think and do, everything has evolved. Development has been the major keyword since then. Development in every phase has been very significant for what we have become now. New buildings were built and infrastructure was developed. The world now boasts of its development. We can proudly raise our hands up and say that we have come a long way from the starting point. This evolution is something our ancestors would not have dreamt about, but are we on the right path on the way to development. Are all these development safer to our planet? Are development is surely a boon to man-kind, But at what cost? Trees were cut down right from the days of invention of the wheel. At that time, there were less people and so the balance with the nature was well maintained. 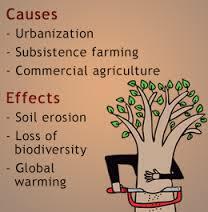 The cutting down of trees have increased as the population was increasing and they were related due to many factors. As of now you will be well aware of the topic we are discussing. Yes, it is deforestation that has been increasing along with the development. Deforestation was in its rise right from the 17th century. As stated by the United Nations Framework Convention on Climate Change, the direct cause of deforestation was for agriculture and real estate projects. The forests play an important role in determining the climate of a place. Deforestation has become the major contributor to global warming. It is often referred to as the major cause for enhancement of greenhouse gases. The forests are often cleared for constructing new projects for development. Some trees are cut off because of their values on the market. Trees are often cleared along the highways for lengthening. On the mission on development and advanced science, we are using our nature, but the fact is that, nature has started reacting to our actions. There is less rain, the climate has increased, the balance in the eco-system have shaken and a lot more. Forests have a lot of significance. During a recent research by WHO, about 50% of the forest cover has been lost. Forests are also home to millions of wild animals around the globe. The animals are very significant in our environment because they form a part of our food chain. Trees help to regulate atmospheric temperature by the process called evapotranspiration. They also enrich the air by absorbing the greenhouse gases and pollutants. Most important of all, they absorb the carbon dioxide and give out oxygen that is important for life. The fact is that, we are dependent on the trees for their emission of oxygen but we are not able to digest this fact and continue destroying them. Our country is an agricultural country and we all know that top soil is very fertile and apt for agriculture. Due to soil erosion, the top soil is carried away. The trees act as a guard and prevent the top soil from eroding away by binding the soil with their roots. 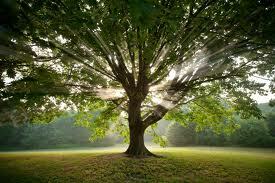 It has been proved that trees also create a cooling effect in the area where they are planted. They can reduce the temperature to a certain extent that we will not need any air-conditioning systems in our home. The United Nations have sounded a warning that, if we don’t act quickly, global warming may rise and the climatic conditions of the earth may suffer a change and become hotter. If such an event occurs the polar ice caps would melt and massive amounts of water will be lodged into the oceans causing floods everywhere. The hole in the ozone layer above the Antarctic’s can be considered as the final warning. We are burying ourselves on the name of development. As the population increases we need more oxygen and hence more trees are required. But in the current scenario the condition is vice- versa. The number of trees is dwindling and the population keeps increasing. The world has now taken this situation seriously. Leaders of various countries take part in the global summit and discuss the remedial measures. Many non-profit organizations are now helping out the cause by making the general public aware of the situation. 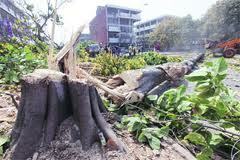 Various measures are taken like planting two trees for one tree cut and places are cleaned up. The defence forces of our nation have also taken measures by planting 1, 00,000 saplings this year. 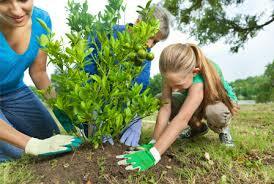 Now-a-days, the youth of our nation, the future leaders, are taking part in many rallies and afforestation works. Our older generations have made the situation worse; at least the young generations got to work towards bringing the current situation under control. Recent studies have shown that trees also help to maintain the ground water table level. Due to deforestation the water table level is going down, which is also a global concern. So it is the role of the youth of the country to take an oath that the earth is made a safer and greener place to live. We have to take initiatives rather than wait for someone to start the work. It is the future generation which is going to suffer. We are just temporary residents here. The earth was there before us and will be there after us. It is our responsibility to preserve the natural resources rather than spoiling it. Let’s take an initiative to plant two if we cut one. This mantra should be followed very strictly and the government should implement this mantra to all the lumberjack. It is in our country that Chipko movement was practised where people would go hug the trees which were going to be cut. We should be proud of this and promote the legacy of our nation and let our nation serve as an example. Save earth! Go green!